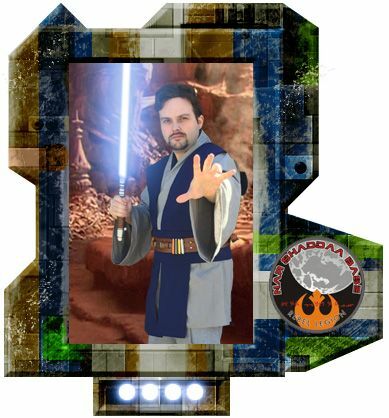 Rebel Legion :: View topic - Welcome to NSB Jedi Jorus Sher! Welcome to NSB Jedi Jorus Sher! Posted: Thu Apr 13, 2017 11:36 am Post subject: Welcome to NSB Jedi Jorus Sher! it is getting pretty full in our Temple! Welcome, and may the Force be with you! I dream of a day where the Jedi outnumber the rest at an event......and we might just get there. Thank you guys, happy to be here. I've been a member of the 501st Midwest Garrison since November of 2015. Darth Revan SL10126. But have recently felt the call of the lightside and had to go Jedi for my second costume. I'm sure I trooped with a good number of you guys at some events, but I'm looking forward to getting to know you all better now that I'll be fighting with you on the same side. As for the character of Jorus Sher, I've had him as my own unique Star Wars character for many years. I've even had the pleasure of creating some short stories about him. Every video game that allows you to create a Jedi character, its been Jorus Sher for me. Including most recently SWToR on server Ebon Hawk, Jedi Guardian Jorus Sher can be found there. I'm happy to finally bring him to life with the Rebel Legion. I'm married with two younglings ages 3 1/2 and 2. I work full time and am almost finished with my master's degree. So I troop as much as time allows. Usually try and do at least 2 troops a month. it is certainly time for a new Temple patch run..
And yes Phyllis - we definitely need a Temple patch run! Welcome!! Love that the jedi are rising!!! Look forward to trooping with ya. "There has been an awakening... Have you felt it? The dark... And the light." Now we are both Revans and Jedi!